I left for Japan in the summer of 2004, bringing with me only the essentials—my Nintendo Gamecube, my Game Boy Advance, a collection of manuals and CDs, and Miles "Tails" Prower. For the little two-tailed fox, the trip must have been quite a surreal experience: he had originally been imported from Japan, after all. For me, Japan was at once new and familiar: everything seemed to recall the shadows of old memories, once thought lost in the misty corners of a three-year-old's memory. The move to Japan may have been a drastic change of scenery, but any culture shock I could have potentially felt was lost in the challenges of living alone for the first time. Nevertheless, I slowly but surely built a life for myself. One person who was a great support during the first few years was a fellow English teacher, a fiery, tomboyish young woman who lived in a neighboring city. Ours was a bizarre friendship: our personalities were so completely opposite that we were ironically perfectly matched. She was, like me, a huge fan of Japanese popular culture—and of video games. We would talk for hours about a variety of topics, and we also shared games and series that we enjoyed with one another. It was she who convinced me to read Harry Potter—and was willing to talk critically about the books. It was she who told me about Eragon and her dismal opinion of the series. Together we discovered Tales of Symphonia, 「鋼の錬金術師」 (Full Metal Alchemist) and 戦国無双 (Samurai Warriors). One of the games that I introduced to her, and that she found surprisingly fun to play, was Sonic Advance 3. Sonic Advance 3 was brilliantly designed. The story involved Eggman using the power of the chaos emeralds to split the world apart. Separated from their friends, Sonic and Tails had to work together to find their companions and stop Eggman. Not much new in the story department, yes. What was unique, however, was the way in which Sonic and Tails worked as a team. Not only did they run through the levels together, and not only could they call on one another for support, they also had unique abilities that they could only use when paired with one another. The same was true for any pairing of characters: along with Sonic and Tails, Knuckles, Amy, and Cream were also available to use. The game was so good, and the play style so creative, that I forgave Cream's presence in this title. Along with great play control, a fun system, and a clever way to collect chaos emeralds, the game also had polished graphics and spectacularly good music. The nod to the Green Hill Zone was a nice touch. And, furthermore, the game had an excellent two-player mode. With the help of a game link cable and an extra cart, Sonic Advance 3 could be played with a firend (even if the cartridges were of different regions!). When played together, each player took one character and raced through the levels as a team, helping eachother reach the goal. If one player was killed, both players had to go back to a checkpoint, which made the going a little difficult. Having two screens, however, meant complete freedom of exploration: the players were not required to stay near one another. I, of course, played as Tails, while my friend used Knuckles, since she loved both the character and his Japanese voice actor (神奈 延年 [Nobutoshi Canna]). We finished the main story after a good day's worth of playing, and my friend remarked that she had had a spectacular amount of fun. While I was enjoying myself, however, most Sonic fans were growing restless. They were not entirely without good reason, either: the next big Sonic series title was Shadow The Hedgehog, and it featured the Sonic's black-spined rival as the game's weapon-toting main character. The game had its moments, but it was awkward to play and exceptionally dark and brooding. The music was also appropriately dark, though one piece, "Chosen One" by A2, was just fantastic. 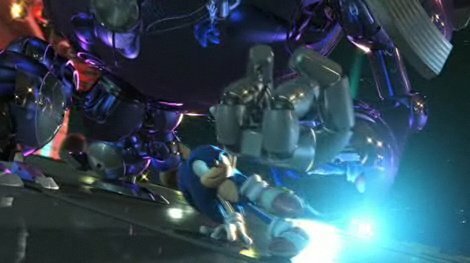 The creators reportedly hoped to spin Shadow off into his own franchise, but fan backlash quickly put an end to that dream. The next release, Sonic Gems Collection, was well-received, largely because it was a compilation of rare older titles such as Sonic CD, Sonic R, and Sonic The Fighters, a Sega CD title, a Sega Saturn title, and an arcade title, respectively. I found myself primarily playing Sonic R, at last able to enjoy the game's music. I thoroughly enjoyed (and completed) Sonic Riders for the Gamecube after I got used to the controls, but was unimpressed by Sonic Rush for the new Nintendo DS, particularly due to the title's insistence on adding another new character, Blaze the Cat. 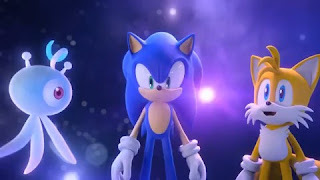 These new characters, by the way, was becoming a sore point for Sonic fans in the United States. The ever-expanding cast seemed to be taking the focus away from Sonic and making the world unneccessarily convoluted. Sonic fans complained loudly about Sonic The Hedgehog for Xbox and PS3. I never had a chance to play the title, but dismal reviews did not have me running to the stores. Fans also complained about Sonic and the Secret Rings. I did buy that title, but I found its exceptionally strange controls difficult to use and soon gave up on it. This all happened on near Sonic's 15th anniversary. To celebrate the date, a lot of merchandise was released. I still proudly wear my Sonic T-Shirt, and my Sonic statuette stands proudly on my shelves. Sonic Rush Adventure, another DS game, was a title that I never even picked up. I was content with replaying the Sonic Advance titles, the Sonic Adventure series, and Sonic 3 & Knuckles; the original Sonic Rush just hadn't cut it for me. Sonic's sales were flagging in Japan despite the Sonic X animated series. After Sonic Rush Adventure, 小学館 (Shougakukan) ceased releasing Japanese Sonic strategy guides (a shame, too; Japanese guides are exceptionally good, and I would have loved to see books for the next several releases, since I'm something of a collector). The Sonic X animated series seemed to have given Sonic a boost in the States, though: when I would travel home, Sonic suddenly had a place on toy store shelves. Going to English fansites, in contrast, had now become quite an experience. Fans were screaming for Sonic to return to his roots, for series to cut out all of the extra characters, for games to feature only Sonic and Eggman. Sega seemed inclined to listen. In the meantime, however, 2008 came, and brought with it the Summer Olympics. The gaming world seemed to explode when Nintendo and Sega announced that Sonic would be joining Mario in a video game version of the Beijing Olympics, entitled 「マリオ&ソニック AT 北京オリンピック」 (Mario & Sonic at the Olympic Games). I was excited, but doubtful. Sonic would be completing in all of the events, it seemed. But what about the swimming events? Sonic can't swim! When I bought the title and put it in, I was in for a surprise: the developers had thought of that, too. Sonic could indeed compete in the swimming events, but he wore a bright yellow life jacket and his swimming technique consisted of flailing about in the water. The fact that it was possible to make him flail more quickly than Princess Peach could do the breaststroke was just hilarious. The summer of 2008 was also the year that I was assistant coach of my high school's track and field club. The timing was great. I would meet my best friend through coaching track and field, and we occasionally would challenge eachother to 100-meter races on Mario and Sonic's turf. That game was a workout—it marked the first time that video gaming had ever given me muscle pain! Gaming had, for me, finally become a social activity again. One of the most wonderful games to play with friends was Smash Brothers X (Smash Brothers Brawl in the states). Ever since I saw that Pit would be joining the roster, I was glued to the game's site, watching and waiting for any further announcements about the title. The announcement that surprised me the most came shortly after the announement of Mario & Sonic at the Olympic Games: Sonic would be joining the roster of characters in Smash Brothers X! This was a dream come true. 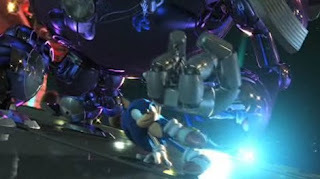 The hedgehog played well; his controls were spot-on (a given, since the title was overseen by Masahiro Sakurai). Not only that, but he had his own stage, a beautifully rendered Green Hill Zone. As icing on the cake, Jun Senoue created a special arrangement of the stage music for the Angel Island Zone from Sonic The Hedgehog 3! Jun Senoue's composition was also given a CD release, on True Blue: The Best of Sonic The Hedgehog. Sonic had enjoyed years of great music, and I soon made a point of gathering as many of the Sonic music CDs as I could—I now have a nearly complete collection. I was particularly happy to get my hands on Digi-Log Conversation, the soundtrack to Sonic Adventure. And I got it for a good price, too! Something that came as a bit more of a surprise was finding a manual to Sonic The Hedgehog 2 in a warehouse-style store of used games, toys, and hobby goods. Such stores are common in Japan, and are a joy to walk through for collectors like me. When I opened the manual, I was blown away: the manual was bright and colorful, and full of story information, profiles, and concept art! I imediately set about collecting the other Genesis-era game manuals. With a good deal of effort, I eventually came into possession of the manuals for Sonic The Hedgehog 1, 2, and 3, as well as for Sonic CD, Sonic Spinball, and Sonic & Knuckles. All of the manuals are great reads, and all of them are rife with art. They, along with most of my other possessions, got shipped from Japan, and I wasn't able to sleep well until I had them safely here. I had a few more Sonic titles to look forward to while I was in Japan, however. 「ソニック・ワールド・アドベンチャー」 (Sonic World Adventure, known as Sonic Unleashed in the US) was a spectacle of sight and sound. 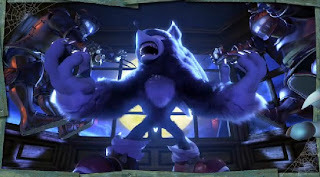 Stateside fans ripped it apart because of the clunky sections in which Sonic was transformed into a lumbering beast-like werehog, but I enjoyed the game a lot. I do have to admit, though, that the werehog stages wore thin after a while, particularly one stage in which the player has to jump across a series of tiny moving rafts using the extremely temperamental controls. Werehog Sonic has difficulty with small movements. The daytime running stages, however, were phenomenally enjoyable. Playing them well is even more satisfying than racing through the stages of Sonic Adventure 2: Battle. The music, too, is unbelievably good. Each area of the world features appropriate world music, created using real instruments. The violins that accompany Windmill Island were an early favorite, and each of the cities and villages, with their daytime and nighttime versions of their themes, are simple joys. I bought the soundtrack at the first possible opportunity, and the main theme, Endless Possibility, became my personal theme song during my last year at the high school where I spent the first five years of my Japanese working life. And, of course, Sega also released a short video, Night of the Werehog, that is both entertaining and gorgeous to watch. However, while Sonic World Adventure was a great game, Tails plays only a small role in the story, and Knuckles was nowhere to be seen. Sega soon announced Sonic The Hedgehog 4 as a downloadable program, but I found that game, too, lacking. Fans tore it apart because the physics engine was laughable; I just found it lonely. Sega seemed to be responding to fans' demands to get rid of all of the extra characters, but losing Tails and Knuckles is like throwing the baby out with the bathwater. Fans adore Sonic 2 and Sonic 3; those games have Tails and Knuckles as playable characters! To me, any side-scrolling Sonic game in which Tails doesn't follow Sonic around is missing a key component of what makes Sonic so much fun. I think that yes, the series had expanded to give too many characters the spotlight, but I think that Sonic Advance had the balance just about right: I'd like to see a game featuring just Sonic, Tails, and Knuckles. And maybe Amy, if for nothing more than to keep things interesting. The years went by, and my CD and book collection grew. I found Sonic in unusual places, since the character often appeared in SEGA WORLD, Sega's chain of arcades. It was always fun to see Sonic on a welcome mat or Tails on the side of a coin exchanger. And then there was the old Sonic popcorn machine that I stumbled across while on a date in Nagoya. Sonic and the Black Knight was released, but reviewers had already begun to complain about it before it was even released. I did not buy the game right away, but I did get the CD soundtrack after watching a promotional video. Drums, guitars, and violins seemed like an amazingly good aural combination. Say what you will about Sonic and the Black Knight: it has high production values. Not only is it full of fanart, but the music is just inspired. My best friend and I made a point of listening to it when he was driving, and he became particularly fond of Camelot, with its seemingly unending series of musical feints. For my part, I love the references to earlier games, particularly the quiet, contemplative versions of It Doesn't Matter and Believe In Myself, performed on violin. And the use of the traditional piece Ash Grove as a menu theme was a brilliant choice. The soundtrack was a collaborative effort on the part of many artists, and their dedication shows. Both the composition and the instrumental performance was in a class by itself. It is not an exaggeration to say that I made my decision to buy the game because of the quality of the soundtrack. Unfortunately, I bought the game shortly before leaving Japan, so I have not had much change to play it. I am looking forward to taking it for a spin when I can finally hook my Wii back up. Winter of 2009-2010 brought with it the Winter Olympics, and Sonic and Mario took to the slopes to compete with one another in 「マリオ&ソニック AT バンクーバーオリンピック」 (Mario & Sonic at the Olympic Winter Games). I love the Winter Olympics, and so I had great fun having Mario ski, Sonic snowboard, and Tails break records in figure skating. I only wish that figure skating had featured music from the Mario and Sonic series as selections to skate to. My best friend and I also spent a good bit of time playing that game together, though he didn't become as fond of it as he had been of Mario and Sonic's summer outing. Sonic Chronicles arrived. A DS game created by Bioware, Sonic Chronicles was a Sonic Role-Playing Game. The game was fun and the system creative, but the timed touchscreen battle controls were frustrating and really got in the way of gameplay for me. It was irritating to enter into a round of battle only to have all of my attacks fail, and the precision required for success made it unrealistic to attempt playing the game on a bus, train, or airplane. Sonic Chronicles eventually saw a release in Japan, but it remains virtually unknown there. Near the end of my time in Japan, Sega gave me one more treat: Sonic Colors. It was, at last, a game that seemed to make the fans happy. Most of them, anyway—it, like nearly every Sonic game before it, has been the subject of much online derision. 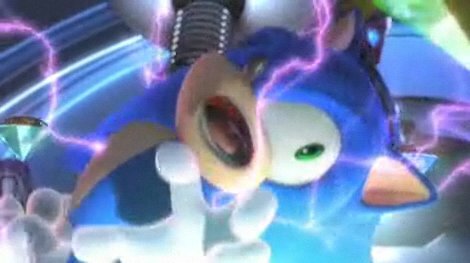 Seeing the online community react to Sonic Colors brought to mind one ironic tounge-in-cheek comment by a fan: "True Sonic fans hate every Sonic game." Cute. Sonic Colors came close to the sweet spot for me. The game was lighthearted, and the levels were fast and colorful. 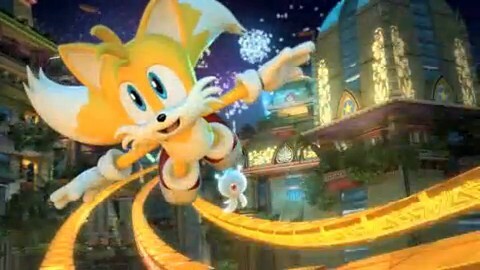 Tails was not a playable character, but he figured prominently in the game's plot and was Sonic's constant companion. One of the most interesting things that I noted in the game was that the game's dialogue (and some story points) differed dramatically between the English and Japanese versions. 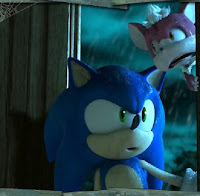 For example, listened to in English, Sonic and Tails are sneaking into Eggman's amusement park, Sonic is convinced that Eggman is up to no good but Tails thinks he has reformed, and Sonic and Tails both take credit for victory by good-naturedly ribbing one another. 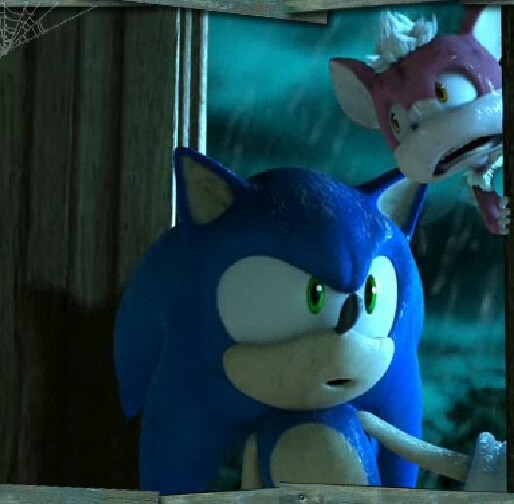 In the Japanese version, Sonic and Tails walk into the amusement park as regular guests (the vehicle they enter with is used by all park guests), both Sonic and Tails are suspicious of Eggman's reformation from the start, and Sonic and Tails each insist that the other is responsible for their victory. Both versions of the dialogue are fun (the jokes in the Japanese are downright hilarious), but you'll need to understand Japanese to follow that script, since the English subtitles were made with the English script in mind. The DS version of the game, too, was made with exceptionally high production values. There is an alternate version of the opening movie, the movies are of comparable quality to the Wii version, there is enough variety in the gameplay to keep both editions interesting, and the music is actually of the same level as the Wii version of the game. Oh, did I mention that the music is spectacular? I reserved Vivid Sound x Hybrid Colors, the Sonic Colors soundtrack, just before I left Japan for Christmas of 2010. The CD was due to be released the day before my flight, but the store actually provided me the music the day before its release date. I had been a good customer, too: my point card was so full that I got a $20 discount on the purchase. I immediately loaded it into my MP3 Player, and had something great to listen to on the long ride home. Sonic Colors was the highlight of that winter; my little cousin had also become a huge Sonic fan, so we played the Wii version a bit together at my aunt's house, and I polished off the DS version during that trip home. Oh, and "Reach for the Stars" has become one of my favorite songs. My last months in Japan were extremely bittersweet. It had been great to live and teach there, and I would miss my friends terribly. When I was packing things away, my best friend came over for one last round on the Wii before I put it in a big box and shipped it home. We played some 「戦国無双３」 (Samurai Warriors 3), which was a favorite of ours, and then I asked him to pick one last game, our very last to play together before I left. Mario & Sonic at the Olympic Games. How appropriate for two people who had become friends through running. We booted up the game and decided to challenge the 400-meter relay. We had never had great success with the event before, but this last day, we nailed it. We broke both the Olympic Record and the World Record that were set in-game. And then, after that last adventure, the Wii turned off, went into its box, and set out for the United States. Of course, a big part of what made Japan so magical was the students. I loved teaching them, and even when they were obnoxious, I couldn't get enough of them. Furthermore, my students' familiarity with video game culture had allowed me to do some creative things in class. For example, shortly after the release of Sonic Colors, I was teaching a writing class to my high school seniors. Writing essays was not easy for them, but they had to do it for their college applications (which, by the way, are in the form of tests). Not only did they have to write essays, they had to do it in English. One problem that was tripping them up was a question that asked them to write about a character from a book, movie, or other medium that had inspired them in some way. A lot of my kids said that most of what they read were manga (Japanese comics), and they thought that teachers would scoff at an essay about a comic book character. They struggled to come up with characters to choose whom they thought would impress college admissions. I stopped them then and there. The importance of these essays, after all, was to be genuine: writing about something that was meaningless to you would be immediately transparent and would result in a weaker essay. If comic book characters had inspired them, they should by all means write about comic book characters. If they could support their ideas and write clearly, their essay would have an impact—and a personal touch. I vowed to give them an example the next day. The next day, I came to class with a small bag. I set it on the table and said, "I would like to introduce you to the character who most inspires me: Miles Prower." A few of the students looked up in interest: they knew who that was. The rest of them became equally attentive when I lifted Tails out of the bag and set him on the table. I told them how Tails had been awkward; he had always been teased for his two tails, for being different. I, similarly, had not fit in when I was a kid, and so Tails resonated with me. Tails found someone to look up to in Sonic, a person to aspire to and become friends with. I learned from Tails that I, too, should find role-models whom I could respect and trust. Tails found that in Sonic; I found it in the teachers who put so much effort into my education. I was set on the path toward being an educator. Although Tails was always following Sonic, he wasn't content with being a fan and a burden; he found ways to support and help Sonic, becoming a valued friend without ever undermining his hero. I learned from Tails that it was important for me to give back, for me to help the people whom I so admired. I aspired to support others, to be useful without being disruptive. I became a director's assistant, a faculty aide, a team-teacher, a supporting cast member, the harmony in a chorus. I found that I was at my best when standing at another's side, rather than seizing the spotlight. Tails admired Sonic, but he also came to recognize that Sonic's strengths were different from his own. Tails was not Sonic, he was Tails; he had his own unique skills and contributions to make. Sonic is the wind, speedy and effortless. Tails is electricity, the flash of inspiration. Tails's strength was in machines; he could build and design machines on a par with Eggman himself. Not only that, but Tails could fly. His two tails—the very thing that everyone had mocked about him—were actually his greatest strength. I learned from Tails that my weaknesses could actually become my strengths. I have a bizarre mind; I'll be the first to admit it. I always have three trains of thought going on in my brain at once. Connections would form between diverse concepts automatically; I would often get lost in my own imagination and was besieged by nightmares as a child. I would ask unusually abstract questions about mundane topics and baffle my teachers. Other kids, understandably, thought I was weird. But, just as Tails's two tails allowed him to reach new heights, having three mental processes always on the go allows me to look at problems from angles that others may not have considered. In theater, I was in my own element: three trains of thought meant that I could have one thinking as my character, one keeping track of the script, and one monitoring my acting. In writing, in art, thinking in a way that doesn't fit in with everyone else becomes the very definition of creativity. While abstract connections occasionally result in unusually long prose (like this five-part article), I believe that they serve me well. When I finished talking, my students stared at me in amazement. They had never before heard someone talk about a fictional character in this way. The essays that they wrote that day were about their comic book heroes—and they were stronger than ever. Teachers came to me asking what I had done to so transform the students' writing. "I introduced them to Miles," was my simple reply. It has been a rocky road with Sonic and Tails, but they've been good to me. Sonic's 20th anniversary is nearly here. I don't know what Sonic Generations will bring, but one thing's for sure: it's going to be a wild ride. I only hope it includes Tails, because that little fox has been with me during my rough middle school years, as I rediscovered myself in college, and as I expanded my horizons in Japan. I was very surprised to find, during my first two months back in the United States, that the thing I was most desperate to get from the boxes that I shipped was not my books or my CDs, or even my Nintendo Wii. It was my Tails doll. I had felt guilty putting him in a box in the first place, and it gnawed at me as each day ticked by with no sign of my luggage. Perhaps it's not the most widely accepted thing for a thirty-year-old male to admit, but it's true: my boxes finally arrived a little over a week ago, and the very first thing that I did was frantically tear open boxes until I found Tails. I'm not ashamed to admit that I clutched the little fox to me for a full thirty minutes after finally freeing him. Welcome home, little buddy. I missed you.